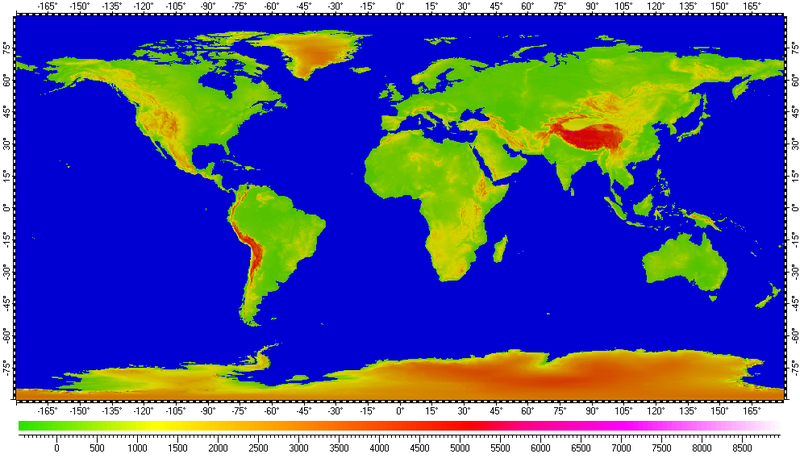 The datum of Digital Elevation Model of Earth, included in the archive, derived from raster data of GTOPO30 project, distributed by the USGS EROS data center. Base resolution of the datum is 30". Also the datum populated with data from USGS DEM 1° Quads with resolution 3" for Alaska, Aleutian Islands and Hawaii. GTOPO30Ext.zip - Size: 406,855,723 bytes (388 MB); MD5: 066D83824A8334B1FB72AF7C07236FE4.